The spoon chandelier I spotted in Hipsterville over the weekend and featured in an earlier post reminded me of a trip I made to Poland over the holidays. I was fortunate enough to spend some time in Krakow, the second largest city in Poland and the country’s old capital. Unlike Warsaw, Krakow was spared from heavy destruction during World War II because the head of the Nazi government loved it so much. I can understand why — the abundant charm throughout the city is illuminating even in the dark winter days. Just outside of Krakow’s city center and about 135 meters (443 feet) underground sits a 700-year-old salt mine that is still in operation. 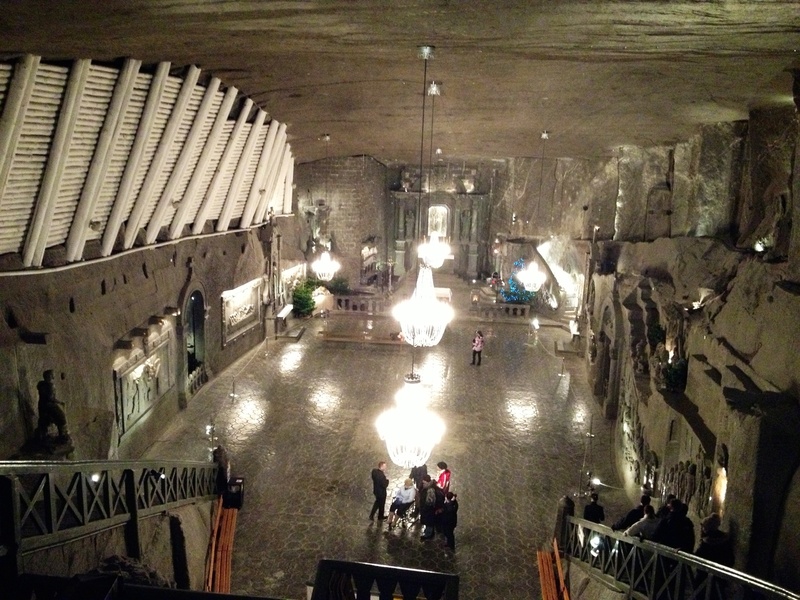 Wieliczka Salt Mine is a Unesco World Heritage Site and I’ve been wanting to see it in person for a very long time. According to our guide, commercial mining discontinued in 1996. Limited mining now takes place at the surface. After descending almost 400 steps and losing all feeling in your knees, you arrive at one location of the mine where the two-mile tour begins (which covers less than two percent of the mine’s passages, just to give you an idea of its span). 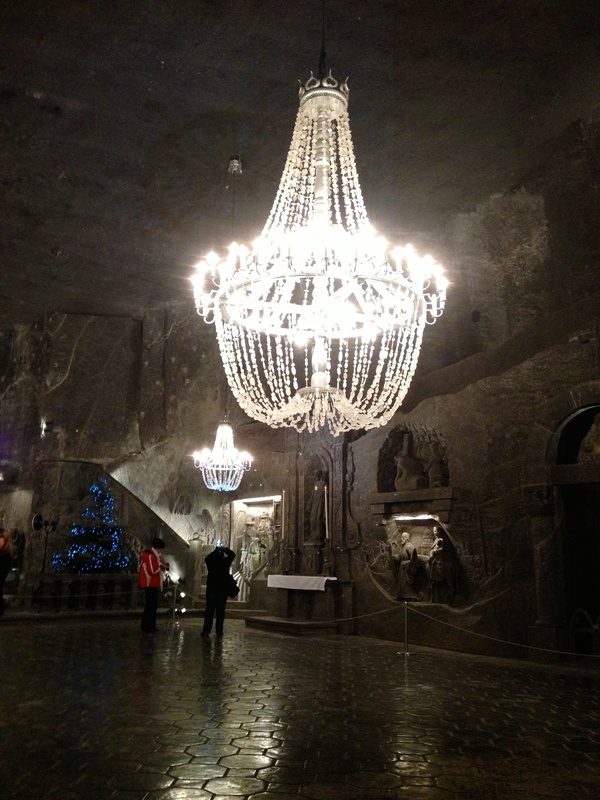 The mine’s main feature is the stunning Chapel of Saint Kinga. 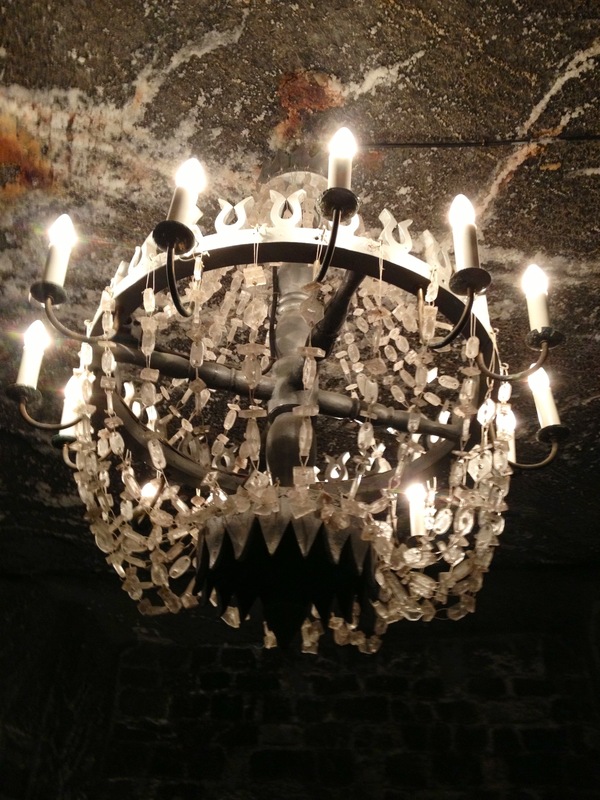 Chandeliers made of rock salt crystals line the ceilings, casting the most spectacular gleam of light around the room. Of course, my photos don’t compare to actually being there in person. To say it’s breathtaking is an understatement. There’s your pretty fix for the day. Perhaps it’ll serve as a design inspiration. I’m a big fan of placing an ornate chandelier in a modern, minimalist space to mix it up, similar to this. If you’ve visited the site and you’re just as wild for Wieliczka, please chime in to share your experience! « Hot for Hans, heritage…and HomeGoods?